I have been enjoying your RAHK posts. Your daughters are just a little older than mine so it's helpful to have ideas on what kids books to be on the lookout for. 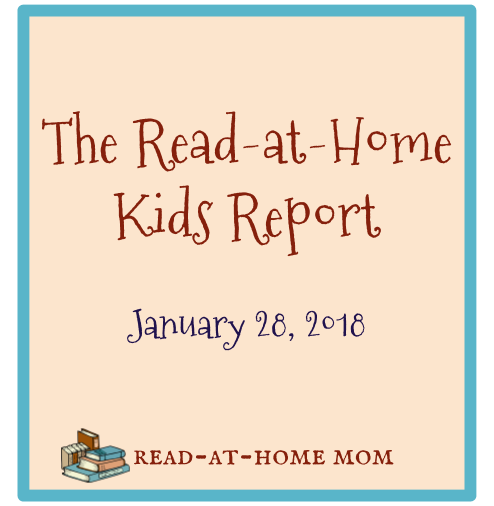 How did you get your older daughter reading? Do you have a method or book for teaching reading? Did you focus on sight words or phonics? Or let her natural interest guide the process? I have been wondering how and when to start teaching reading to my daughter and would be very interested to know what worked for you. Thank you - I'm glad you enjoy them! I have a post coming up that outlines how we taught our daughter to read. Watch for it this Friday!